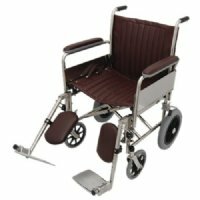 MRIequip.com adds the new non-magnetic MRI transport chair and non-magnetic transport chairs to the already extensive line of MRI transfer chairs and MRI Geri-chairs to complete our MRI patient transfer line. 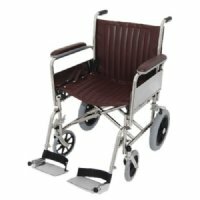 In addition to non-magnetic MRI PVC transfer chairs and non-magnetic MRI PVC Geri-chairs, MRIequip.com has added a heavy duty non-magnetic transport chair brought to you by popular demand. For swift and safe transport to and from the MRI suite please review our complete line of MRI patient transfer equipment. MRIequip.com has identified all MRI transport chairs, MRI transfer chairs and MRI Geri-chairs as MR conditional transport chairs, MR conditional transfer chairs and MR conditional Geri-chairs in accordance to the 2007 ACR guidance document. 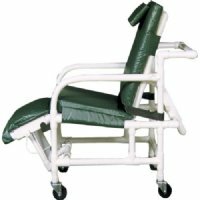 MRI Transport Chairs 20” Wide with Detachable Legrests and Detachable Full Length Armrests. Non-magnetic for your MR environment. Available in Burgundy or Green Upholstery. 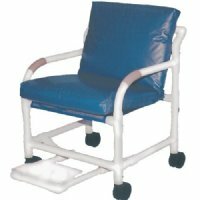 MRI Transport Chair 20” Wide with Detachable Footrest and Detachable Full Length Armrests. Non-magnetic for your MR environment. Available in Burgundy or Green Upholstery.